To Live Is Christ – Page 59 – Learning to live from the indwelling life of Christ day by day. February 21: Jesus Lived His Human Life From the Spirit’s Divine Life. Yesterday we went back to beginning to see that God’s Spirit or ruach is what gives life to all things. The Spirit is the inner life of God. There is no life without the Spirit. Genesis 1:1-2. In the beginning, God created the heavens and the earth. 2 The earth was without form and void, and darkness was over the face of the deep. And the Spirit of God was hovering over the face of the waters. Today let’s explore this truth within the life and ministry of the person of Jesus himself. We’ll look at some scriptures from Luke’s gospel to guide us. Notice the connection of this scripture to Genesis 1:1-2. In Genesis, the Spirit overshadows the “formless and void” earth. At Jesus’ incarnation, the Spirit overshadows the “formless and void” womb of Mary the virgin. In both cases he brings life from where there cannot be life. Jesus’ human life was directly generated by the Spirit (pneuma in Greek). Jesus is the New Creation. The Creator has become the creation by the Spirit. Luke 3:16. John answered them all, saying, “I baptize you with water, but he who is mightier than I is coming, the strap of whose sandals I am not worthy to untie. He will baptize you with the Holy Spirit [pneuma] and fire. God’s desire is for all of humanity to share in the divine life (zoe) by the Spirit (pneuma). Jesus will baptize, all who believe, in the Spirit, and thus they will receive his life. Here again, the Holy Spirit is hovering over the Creator, Jesus Christ, and descending upon him to empower his human life with divine life. The Father’s love is connected to this life. He declares his love over his son. Love brings divine life. The divine life is love. Luke 4:1-2. And Jesus, full of the Holy Spirit, returned from the Jordan and was led by the Spirit in the wilderness 2 for forty days, being tempted by the devil. Jesus moves through life by the direction of the Spirit. From temptation in the wilderness, to ministry in Galilee, the Spirit’s divine life guides Jesus’ human life. Ok, you get the idea, and we could go on and on through the rest of the book. So what’s our point today? Jesus is living his life as a human (his psyche and bios) by the life of the Spirit (zoe). He is the model of the new humanity- living humanly by divine power. “To live is Christ” means that we too live by the life of the Spirit. The Spirit brings life to the lifeless “formless and void” place inside of each of us. He brings life where there is death. He brings the zoe of Christ into our hearts in the form of the love of Christ for us. A love demonstrated in his living and dying. And just as the word of God released the ruach of God at creation, the Word of God (Jesus) releases the ruach of God (Holy Spirit) into our newly created hearts. Won’t you stay with me over the next few days as we see what living by the Spirit meant for Jesus, and what it means for us. *The pictures in today’s blog are from artist Daniel Bonnell. Check him out. Posted on February 21, 2018 February 21, 2018 1 Comment on February 21: Jesus Lived His Human Life From the Spirit’s Divine Life. February 20: The Spirit Gives God’s Life. “To live is Christ” means that we live from the indwelling life of Christ. But we cannot begin to understand this concept apart from understanding the Holy Spirit. Because the Holy Spirit is the out-flowing agent of the inner life of God (his zoe). Put another way, the Holy Spirit brings God’s life. You probably know what happens next. God creates all kinds of life. Plant life. Sea life. Air life. Creatures. Creepers. Mankind. But what (or who) brought about this life? Genesis 1:2 tells us it was the Spirit. The Hebrew word for “spirit” is ruach. This is the same word as “wind” or “breath.” In fact all of creation comes by the ruach of God. In Genesis 1, God will speak 10 times, each time resulting in a creation. God’s word releases ruach. Psalm 33:6. By the word of the Lord the heavens were made, and by the breath (ruach) of his mouth all their host. More specifically, Genesis 2 describes the creation of mankind by the breath of God. Genesis 2:7. Then the Lord God formed the man of dust from the ground and breathed into his nostrils the breath [neshama] of life, and the man became a living creature. Note: The word for breath here is not ruach. It is neshama. But notice here in Job 33:4 how these two Hebrew words are used interchangeably. Job 33:4. The Spirit [ruach] of God has made me, and the breath [neshamah] of the Almighty gives me life. Man is dirt and ruach. God “formed” us, like a potter does with clay, from the dirt, but it was the breath that gave life. It was God’s breath or spirit, the Spirit, that made us into “living creatures” (nephesh chay). Psalm 104:29-30. When you hide your face, they (all living creatures) are dismayed; when you take away their breath [ruach], they die and return to their dust. 30 When you send forth your Spirit [ruach], they are created, and you renew the face of the ground. As I heard Tim Mackie say the other day, “we are living on borrowed ruach.” Psalm 104 reminds us that God controls life as he controls breath. And he controls all breathing as the Spirit. God creates life by the breath of the Spirit, and he takes life away by taking away the breath of the Spirit. Posted on February 20, 2018 February 20, 2018 2 Comments on February 20: The Spirit Gives God’s Life. February 19: Jesus’ Life Gives Us the Freedom, Love, and Purpose We Were Made For. Early on in this blog, we connected life to imaging God and having freedom, love, and purpose. We traced these big ideas, and others, through the early pages of Genesis. But how does the person of Jesus offer these things to us? God wants us to have freedom, love, and purpose, but why is it only Christ that provides these things in their fullness? Jesus’ life unites with our life, offering freedom from sin. We are given his righteous record, and his righteous desires. We now are truly free to either sin or not sin. One day when we are totally transformed to his likeness, we will be free yet unable to sin. Why?Because our desires will be perfectly pure. Jesus is the full manifestation of God’s love in the flesh. His death on the cross is the greatest display of unconditional love for an enemy that the world has ever known. But he not only models love, he IS love. His life in us is a life of love. To have his life is to have the unconditional, never ending, love of God, and that is the life. There is no eternal life without eternal love. When we receive this love and life by grace it frees us to love him and others from a pure heart, rather than from trying to reciprocate, or earn that love. And when our desires are changed, the outflow is love to others and to God. Jesus is the king of the universe, and his purpose is to bring the world to the Father as worshipers and image bearers. When this mission is accomplished, perfect shalom, and justice are achieved. Because his life is in us, his purpose is now our purpose. His goal is to reign over all things and then place all things at the feet of his Father. Our purpose is to be used to bring everything under Christ and place them at his feet (our lives, families, communities, churches.) Our partnership with Christ gives us the greatest purpose in the universe. Posted on February 19, 2018 February 19, 2018 Leave a comment on February 19: Jesus’ Life Gives Us the Freedom, Love, and Purpose We Were Made For. February 18: Jesus is the Source of Eternal Life, and the Object of Eternal Life. Jesus is the source of eternal life, and the object of eternal life. John 17:1-3. ..glorify your Son that the Son may glorify you, 2 since you have given him authority over all flesh, to give eternal life [zoe] to all whom you have given him. 3 And this is eternal life [zoe], that they know you, the only true God, and Jesus Christ whom you have sent. Once again, we have an amazing claim. The life of this human being (Jesus) IS the knowledge of God. This is because the glory of God has been made known in this human life. Jesus manifests the glory of God. 2 Corinthians 4:6. For God, who said, “Let light shine out of darkness,” has shone in our hearts to give the light of the knowledge of the glory of God in the face of Jesus Christ. To know Jesus is to know God the Father; to have his life is to have God’s life. The Trinity’s life. 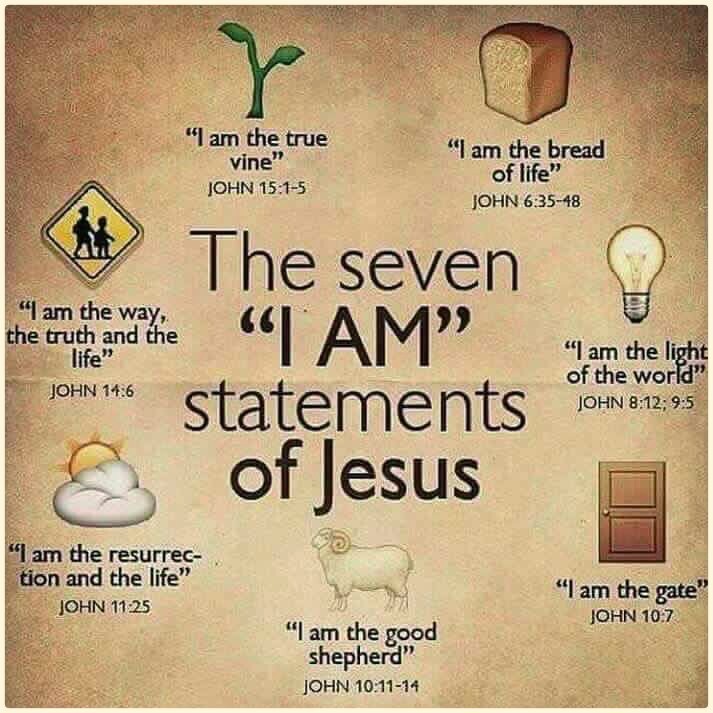 Recently we have spent much of our time showing how Jesus claimed to be the source of eternal life – his many claims, his “I Am” statements. But here, in John 17:3, we see him also as the object of eternal life. Now we are also able to put together the pieces of the puzzle from the Garden of Eden. Jesus is the “Tree of Life,” offering eternal, spiritual, divine life to all who receive. But John 17:3 allows us to see that Jesus is also the true “Tree of Knowledge of Good and Evil.” By his life we have the knowledge of God, and the knowledge of God allows us to discern the goodness of God, and thus reject the evil of the world. When we have the life of Christ given to us freely by grace, we no longer need to fear the knowledge of good and evil. Rather, now that we no longer use this knowledge to earn eternal life, we desire it as the result of knowing God and his true goodness. This knowledge of God, by union with Christ’s life, gives us the knowledge of goodness and evil that can now guide our lives deeper into Christ’s life. Posted on February 18, 2018 February 18, 2018 1 Comment on February 18: Jesus is the Source of Eternal Life, and the Object of Eternal Life. February 17: Eternal Life is Christ’s Life. If you have been tracking with this blog, then you know that Jesus, in John’s Gospel, has made several statements about the kind of life that he offers. It is not biological life (bios), or the life of the soul (psyche). It is divine, eternal, spiritual life (zoe). Eternal life is Christ’s very own life. Look at how John is talking about God’s life. It is hearable, seeable, touchable, it was made manifest. How? In the human life of Jesus the Christ. Just as it was seeable, touchable, tasteable, and manifest in the Garden’s Tree of Life, it was made manifest in the bios and psyche of Jesus. The divine life became a knowable, relatable human life. 1 John 5:11-12. And this is the testimony, that God gave us eternal life [zoe], and this life [zoe] is in his Son.12 Whoever has the Son has life [zoe]; whoever does not have the Son of God does not have life [zoe]. What is eternal life? Is it simply being with God forever and ever? John tells us that it is much more than that. It is Jesus. It is his life united with our life. To have eternal life you have to have the Son. As Christians this means that we are already experiencing eternal life. 1 John 5:20-21. And we know that the Son of God has come and has given us understanding, so that we may know him who is true; and we are in him who is true, in his Son Jesus Christ. He is the true God and eternal life [zoe].21 Little children, keep yourselves from idols. What amazing statements! No other religion makes these kinds of claims about it’s leaders or founders. No other system asks you to put all your faith into a human life, trusting that it is also the divine life that brings eternal life. This is the basis of all grace. Why are we done with striving? Why is our work over? Why is it by faith and not by works of righteousness that we have done? Why tetelestai? Because Jesus’ life has done all the living I need to do for me. All the righteous requirements of the law of God have found their full obedience in him. And this is the life that he offers. This full and complete human yet divine life united to our lives. That is amazing love. Posted on February 17, 2018 February 17, 2018 3 Comments on February 17: Eternal Life is Christ’s Life. February 16: Jesus, the Way, Truth, and Life. John 14:6. Jesus said to him, “I am the way, and the truth, and the life [zoe]. No one comes to the Father except through me. Jesus tells them, “Yes, you actually do know the way, it’s me.” Frederick Bruner says that Jesus is the way to the Father, he is the truth that will guide you on the way to the Father, and he is the life that will empower you to follow the truth along the way there. And again, as we have said so many times this past week, this is not about Jesus’ teachings showing us the way, the truth, and the life. These are not 3 abstractions. It is the personal life of Jesus that is the way, truth, and life. This scene from C.S. Lewis’ The Silver Chair includes one of the greatest dialogues in the book. Watch from 7:00-8:15. Jill’s revelation that she has to trust Aslan, and Aslan’s claim of exclusivity is much like Thomas and Jesus’ conversation in John’s Gospel. Posted on February 16, 2018 February 16, 2018 Leave a comment on February 16: Jesus, the Way, Truth, and Life. February 15: Jesus’ Divine Life Frees Us From the Love of Our Human Life. To live is Christ because Christ is life. He is eternal spiritual life- the life of God. John 12:25 The man who loves his life [psyche] will lose it, while the man who hates his life [psyche] in this world will keep it for eternal life [zoe]. Here’s another statement by Jesus that allows us to see that the life he offers is a higher form of life. It is not just psyche. It is zoe. It is not just the human life of the soul, but the divine life of the spirit. So let’s think about Jesus’ human life- his psyche. He was not in love with his human life to the exclusion of all else. He loved the eternal more than the temporal. So by comparison to his eternal, spiritual life, he “hated” his human life. He put it second- even to the point of losing it on the cross. When we love money above all else, we will tend to overwork for it, cut corners for it, or cheat for it. This of course causes us to lose the very thing we are most in love with. We lose our jobs (the way to get money) or we lose our relationships (the reason to get money), or we lose our position (the other reason to get money). When we love family above all else, we will manipulate our family to keep them close or to maintain their love and loyalty. We will not allow the freedom it takes for love to flourish. As a result we will lose the very people we are desperately trying to keep. When we love power or status above all else we will quickly learn to either appease others or provoke others in order to keep our position of power. But over time this will lead to our own downfall, as people will either take advantage of or rebel against our leadership. All of this is why Jesus, in John 12:25, tells us to hate our lives “in this world.” We learned yesterday that our physical, human life will live forever because of the indwelling zoe and the resurrection. So we do not hate our human life because it is unsaveable or evil. We hate it “in this world.” That is, in this world’s fallen, messed up, twisted setting of self absorption, and self justification like we just talked about in the three examples above. Jesus came to free us from the love of our human life in this world. Rather, by his life, his zoe, we are free to embrace life beyond this world. Look one more time at John 12:25. If we “hate our life in this world” we will actually “keep it for eternal life.” We are free to join our human life to his divine life and see it transformed into a deep, flourishing, loving life that lasts forever. Posted on February 15, 2018 February 15, 2018 Leave a comment on February 15: Jesus’ Divine Life Frees Us From the Love of Our Human Life.